Every year over 16 million Americans suffer from at least one major depressive episode. 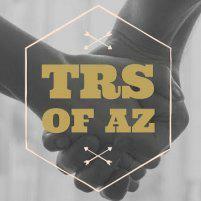 Board-certified counselor Jordanna Saunders LPC offers compassionate and customized counseling and therapy to help you learn to cope with your depression at Trauma Recovery Services of Arizona in Goodyear, Arizona. If depression is preventing you from living a full and active life, call Trauma Recovery Services of Arizona or make an appointment online today. Depression, clinically known as major depressive disorder, is an illness that causes feelings of intense sadness, worthlessness, and hopelessness. Depression is sometimes caused by a chemical imbalance in your brain in which you have insufficient levels of neurotransmitters such as serotonin and dopamine. This imbalance negatively impacts your mood and thoughts, leading to behavioral changes. Other causes of depression include environmental, psychological, and social issues, and negative thinking and behavior patterns. If you are thinking of suicide or harming yourself, call 911 or go to your nearest emergency room for immediate help. Depression can also impact your performance at work or school and disrupt your relationships. You may want to avoid social interaction or have trouble keeping appointments and deadlines. Jordanna begins treatment for depression with a thorough assessment. Jordanna uses evidenced-based screening tools to assess the level of your depression and make treatment recommendations. During your evaluation, you talk about your personal and family medical history as well as your current symptoms, lifestyle, and concerns. This assessment helps her gauge your depression and identify some areas for you to focus on in your counseling sessions. Some people may benefit from a referral to obtain medication in addition to psychotherapy. Jordanna can also teach you mindfulness skills to better manage negative moods, thoughts and ideations to enhance your positive experiences and get back on track to living a more fulfilling life. Emerging research shows that the various types of depression respond to different interventions. Jordanna provides customized therapy sessions to help you explore your thoughts and feelings and resolve underlying issues that contribute to your depression. Many of her patients benefit from specialized therapy including cognitive behavioral therapy (CBT) and eye movement desensitization and reprocessing (EMDR). CBT is a specialized form of therapy where you learn to recognize your negative thoughts and feelings and respond to them differently. During your sessions, you work on identifying triggers for your feelings and exploring how you react to them mentally and behaviorally. Then, you learn techniques to regain control over your responses. You practice those techniques at home between appointments, changing your habits. EMDR uses repetitive eye movements to stimulate your brain into reprocessing distressing memories. You follow a rhythmic light with your eyes while you hold the traumatic memory in your mind. Your eye movements stimulate your brain into reprocessing the memory into a less distressing state. When the memory is less upsetting, you develop the clarity needed to explore and resolve your feelings. Call Trauma Recovery Services of Arizona or make an appointment online for expert and compassionate counseling for depression.